Do you need a new set of dice? Or does your new role as GM require some tokens, a screen and a hexagonal map? Gaming requires quite a number of things to make the experience as enjoyable as possible, especially role-playing games. Let's face it: RPG’s need to have awesome gaming supplies to help make the game more visual and realistic so gamers can truly immerse themselves into the story. Guides, rulebooks, artistically crafted pawns, and dice, are just some of the things RPG players need to have for a game that is truly one epic experience. No wonder gamers always turn to RPG stores to stock their gaming supplies. These RPG stores often have many--and by that we mean thousands, of supplies that players might need. All the things mentioned above, plus other gaming accessories, are products that can be found in gaming stores. If you are looking for the top online RPG stores for tabletop games and supplies, then you have come to the right place. ROLL THAT FAT D20 and let's get started! Description: Amazon, the largest online retailer in the United States or maybe even the world, has got quite a number of tabletop RPG supplies available for you. With a vast variety of hobby gaming supplies you can find in the different corners of Amazon, you can hardly estimate just how many there are. As such, it can be quite difficult to find these games when you are at the beginner or get-to-know-these-games level, because with the sheer amount of such products categorization can be a bit of an issue. Therefore, typing in a general description like “Tabletop RPG games” in the search box simply won’t do. Instead, you will have to type in the specific name of the game you are looking for, such as Dungeons and Dragons, Pathfinder, Star Wars, Traveller or any other game you need dice for. From there, lots and lots of things will greet you. Everything from rulebooks, to guides, all the way to dice and miniatures. All these products may have different suppliers, so you will have to check out the reputation of the supplier you are interested in to have an idea on how smoothly the transaction will go by reading customer reviews. Description: RPG Shop is a store with two decades that started as an actual game shop in Milwaukee, Wisconsin in U.S.A that later expanded online. The shop boasts of having the largest selection of dice and new products in the entire Mid-West to entice gamers and collectors alike. In fact, it has approximately $100,000 stocks in inventory and continuously receives daily stock replenishment from 3 distributors! 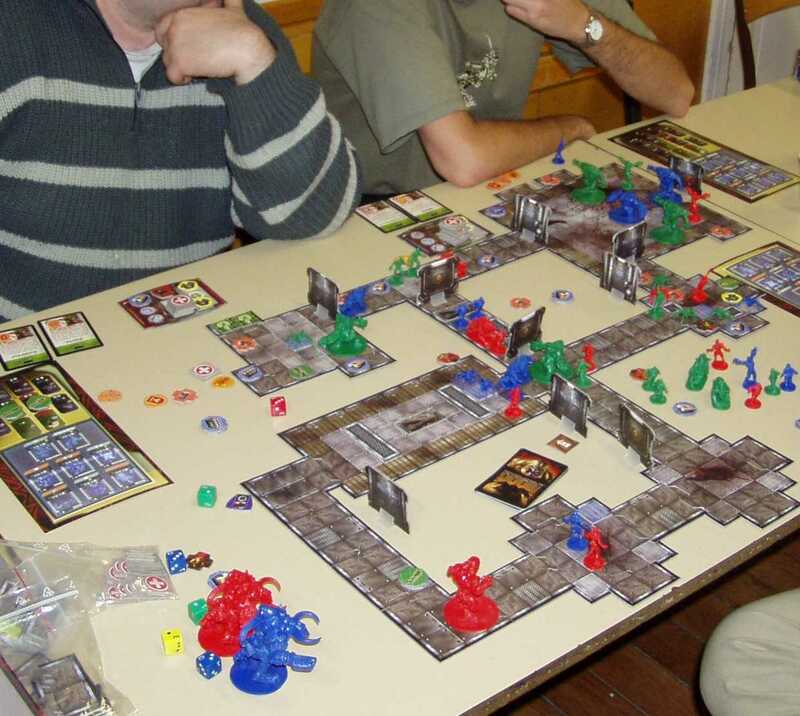 They offer products for quite a number of role-playing games, including Star Wars, Dragons and Dungeons, Pathfinder, BattleTech, Shadowrun, Traveller, Savage Worlds, and more. These products can range from dice, miniatures, accessories, tools and the like. Also, if you happen to be looking for a specific item and they don’t have what you are looking for then they will backorder it for you! Backordering is a service wherein you can order a product even if they don’t have it available at the moment. They will cater to your needs by shopping for your wanted items from various suppliers so they can have it ready for you a few days after. Most positive comments praised the good customer service during inquiry and negotiation, while most of the negative comments criticized the lack of notification from the store when an order cannot be completed. The store offers low cost priority mail shipping using USPS Priority Mail to all buyers from the continental US, which can usually deliver within 2-4 business days. They also offer faster delivery, which is an option you can select from USPS. However, it is important to remember that some orders, especially the backorders, take a little extra time to ship considering that stocks have to be replenished. The good news is, they also offer shipping outside of U.S. for a usual shipping cost range of $15.00 - $45.00 depending on the weight and size of your order, excluding other additional taxes or fees imposed by your customs office. The store offers a lot of options for customers to contact them. You can call them at 585-586-0586, email them at warehouse@rpgshop.com, or simply message them through the website. All these information are displayed on the top-right corner of the site’s homepage. On any other page, you can look up to their contact details by clicking on the “Contact Us” button on the upper corner. Description: True to its name, Dice Game Depot is a family-owned business that mainly sells dice and dice games. They also sell other gaming products, such as board games, card games, and Bunco. The store sells a great variety of game dice in different colors, sides, and sizes, which you can order individually or in sets. These include the usual six-sided dice, the polyhedral dice, the multi-dice, the Dragons and Dungeons dice, and more! With thousands of dice in Dice Game Depot, you don’t have to go anywhere else when you’re looking for dice! You can even choose at what size you want your dice to be. You can choose from 7 different options: from 5mm, 8mm, 12mm, to 16mm, 19mm, 25mm, and all the way to 50mm. Each of the sizes has their own uses. For full details you can visit their website to peruse some more! However, they are not only limited to dice. For they also offer other game supplies like sand timers, pawns, tokens, gaming mats, and such. Additionally, they also offer backorders, gift certificates, and free domestic shipping on purchases that amount to $25 and more. They offer shipping to both the continental U.S. and to international destinations via USPS Priority Mail and USPS First Class International Mail. Processing and shipping within United States can take at least 4-5 business days, while international shipping can take 7-20 days depending on the location. They respond fastest via email, which you can use by filling up a form they provided for on the said page. Description: Green Ronin is a Seattle-based publishing company that specializes in the creation of guides and rulebooks in order to enhance the experience of playing tabletop RPG games. These guides and rulebooks can include games such as Fantasy Age, Dungeons and Dragons, Dragon Age, A Song of Fire and Ice Roleplaying, Mutants and Masterminds, DC Adventures, and Icons. This company isn’t just any kind of publishing company, mind you. In fact, Green Ronin is one of the most excellent publishing group you’ll find out there! Well, for one the company has earned over 40 awards for its great quality and innovation. For another, the company has been awarded the EnWorld and Gencon Best Publishing award for three consecutive years! To give you an idea how prestigious those two awards are, let’s discuss about them a bit. EnWorld is a news website that is considered as the main source of information for the new product releases of Dungeons and Dragons. On the other hand, GenCon is considered the biggest tabletop-game convention in the entire North America. So, if you are looking for great quality guides and rulebooks to make your RPG story epic, go to these guys and you are guaranteed satisfaction. Green Ronin soars high on customer’s feedback with a 4.5/5 rating out of 381 reviews. Most customers were very happy with the products and customer’s service, with some only a little downhearted when they encountered problems with the server and follow-up notifications. To contact them, you simply have to click on the “Contact Us” or “Contact Green Ronin” link on the upper corner of the screen. They’ll give you links on how to contact them via Facebook and Twitter. You can also send them an email by filling up a form they provided for at the bottom half of the page. Better yet, you can simply call them at (800) 319-9658. Description: Leisure games is a game retailer stationed in London that specializes on stocking as much games as they possibly could, and on updating their stock by collecting the newest games as soon as they become available in UK. They offer a wide variety of games ranging from RPGs, board games, collectable card games, war games, traditional games, and the like. Practically all kinds of tabletop games can be found on this store! For RPG’s they offer Dungeons and Dragons, Warhammer, Shadowrun, Pathfinder, Domains at War, and thousands others. They even sell game accessories such as dice, miniatures, card sleeves, etc., in case you want to enhance your gaming experience. The store is popular for holding events that bring gamers together. If you want to check these events out you can look up at the “Calendar” button on the left corner of the page so you can see more details. You can avail of their services whether you live in UK, or outside of UK. They make use of UK express and Royal Mail Special Delivery for shipments within UK. For overseas shipments within Europe they charge 20%, and for other countries they charge 50%, of the total order value in order to cover for the expenses. The reviews rave about Leisure games! So much that it has been given a rating of 4.7/5 out of 156 reviews. Mostly, the customers are very impressed with the amazing customer service and the sheer amount of shelves crammed with thousands upon thousands of tabletop games. In fact, many customers consider Leisure games to be the best game shop in the entire UK, and even pass by London mainly to visit this awesome shop! So, if you are looking forward to drown yourself with a library of games visit Leisure games now! Description: Does Pathfinder, the best-selling tabletop RPG from 2012 to 2013, ring a bell with you? Guess what, it was Paizo Publishing that published Pathfinder in 2009! Paizo’s popularity among gamers peaked with Pathfinder, making Paizo.com the leading online retail store. However, Pathfinder is not only the reason why Paizo managed to stay on top of the game. You see, Paizo offers tens of thousands of gaming products delivered from various publishers to thousands of customers all over the globe! Paizo is a gaming company that mainly offers guides and rulebooks for RPG players to enjoy and immerse themselves in. Aside from Paizo Pathfinder RPG supplies, they also offer a wide variety of other RPG’s such as Dragons and Dungeons, Shadowrun, Star Wars, Castles and Crusades, Traveller, Savage worlds, Runequest, and more! They also offer other types of products like gaming accessories and miniatures.These accessories include pawns, dice, combat pads, GM screens and the like. Miniatures such as pawns, paper minis, and pre-painted plastic can also be found in the store. If you are wary about purchasing RPG guides and rulebooks, then you have nothing to worry about when it comes to Paizo because these guys got the big guns on this area. You see, the company has garnered more than 50 major awards within 10 years since its founding in 2002. No wonder it has become one of the most influential gaming companies in the whole of the Tabletop games industry! Paizo has quite an extensive network of contact details. They have forums for customer service, website feedback, and general discussion. You can also call them at (425) 250-0800, or fax them at (425) 250-0801. To top it all, you can also find them at Facebook, Twitter, Tumblr, and Twitch. They even have a very informative list of personnel found in the same page. All the way from Chief executive Director to Adventure card game designer, you can get to know the names of the people behind the company. Their business hours are from Monday to Friday, 10 A.M. to 5 P.M. Pacific Time. Description: Noble Knight Games specializes in all things game-related, whether out-of-print, old, recent, new, you can find them in Noble Knight! These “game-related” things range from War games, Board Games, to Card Games, RPG’s and miniatures. But of all these, Noble Knight Games considers themselves mainly as a tabletop RPG store, given that RPG’s are the main reason why Noble Knight came into existence. The business owners of the said company are gamers themselves, and over their years of gaming experience they have developed an impressive collection of RPG’s. Wanting to share their fun and memorable gaming experience with you, they have made it their mission to provide a great variety of RPG’s at affordable prices to give thousands of gamers access to the games they are looking for. These RPG’s include Pathfinder, Exploding Aces, Traveller, Labyrinth Lord, Dungeons and Dragons, and so many others! Since a number of the hobby games for sale aren’t exactly new, they made a grading system to give you a picture of the product’s condition. From being SH (Shrink Wrapped), NM (Near Mint), to being Fair, and Poor, you are guaranteed an accurate description of the product you want to buy. To get to know more about the grading system, click the link to visit the website. On the left corner you will see a number of buttons to help you navigate through the website with ease. Under the heading “Information” you will see all of the things you need to know. One of the best things about Noble Knight is its website. Navigation wise, the site is very easy to access because all of the pages you have to visit are categorized in buttons on the left corner of the page. Other headings include “Browse Catalog” where you can search for products you might be interested in, “Subscribe” where you can enter your email address to receive updates, and “Selling & Trading” where you can sell your own gaming stuff for a price! Noble Knight Games has been given a rating of 4.5/5 out of 9 customer reviews on Yelp. Customers have praised the shop to be hands down the best gaming shop in all of Janesville. The outstanding customer service and the smooth transactions are all reasons why you should try this shop out! Description: Dragon’s Den is a community-based gaming store that features an extensive selection of tabletop games. This means that the store has a gaming area with lots of premium gaming tables where you can have a memorable gaming experience with fellow gamers. Dragon’s Den rents games and even offers a trial run where you can try the game before you buy! They even host Pathfinder and Dungeons and Dragons games for beginners who have yet to fully understand how to play RPGs. Moreover, you can buy products through their Ebay store, where shipping policies are the same with any other purchases you may have done with Ebay. Dragon’s Den have impressively good reviews both in Ebay and in Facebook. The said shop has a 2781 feedback score and a 100% positive review in Ebay, while it has a rating of 4.8/5 out of 101 reviews. Most, if not all, of the customers give happy feedbacks on how great the customer service was, how well-packaged the products were, and how fast the shipping was! Interested? Contact them at (804) 308-0647 and/or email them at info@dragonsdengaming.com. Description: FRP games offers quite a lot of RPG games, including: A song of Fire and Ice, Black Crusade, Call of Cthulhu, Castles and Crusades, Cursed Empire, Dungeons and Dragons, Edge of Midnight, Witch Hunter, and many more! Shipping within U.S. takes 2-7 business days to arrive at your doorstep. Standard shipping using FEDEX and/or USPS takes 4-7 business days, while priority shipping using USPS Priority mail takes 2- business days only. With international shipping, it may take a couple of days up to 2 weeks for the package to arrive. To contact FRP games, you can go directly to their site and click the “Contact Us” button found on the upper right corner of the webpage. There you can send an email by filling out a form they provided for you. Additionally, there will be a “Live Chat” icon that will appear at the bottom of the screen in the “Contact Us” page. You can use the Live Chat to quickly get a response from them through your email. There you have it! These are some of the best tabletop RPG supplies store outlets you can visit and purchase from to enhance your gaming experience to the utmost. In trying to decide which store to purchase from, it would be very helpful to determine what you need so you can go to the shop that specializes on the product that you are looking for. Say you need to get rulebooks, Green Ronin and Paizo are the best publishing companies you can go to. If you need a new set of dice, you can visit Dice Game Depot where you can choose from a collection of dice of such a great variety. Whatever it is that you need, these stores have it! Visit them and your gaming experience is about to get more epic!